Here is a pair of earrings. To call them spectacular is no overstatement. 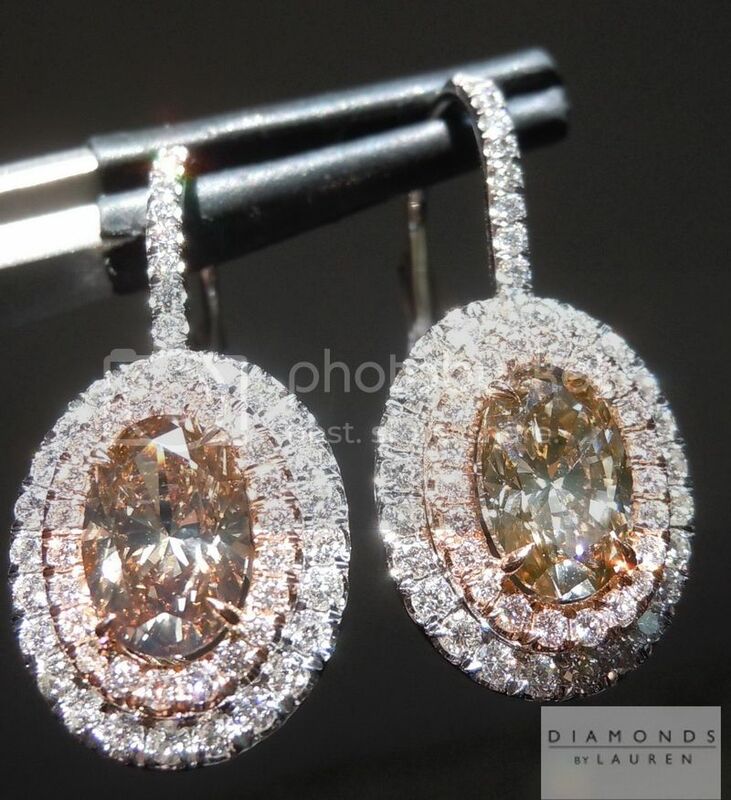 We start with a gorgeous pair of brown oval diamonds. Both stones are extraordinarily well cut - beautifully shaped - with great sparkle. Both are totally eye clean. Even though the GIA reports call them different colors, the difference is subtle indeed, and both are vibrant in terms of color. Each stone is surrounded by a double halo - the inner halo is pink gold, the outer is white gold. Although only colorless diamonds are used in the pave, the eye definitely picks up some pink. There is an impressive overall size to the halos - they measure 14.5 x 11.5 mm from edge to edge. Diamonds on the clasps that go through the ears. The total package is incredible in person. A combined total carat weight of 2.94cts.